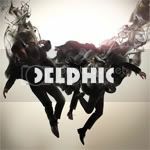 New remix contest by Delphic, the Manchester’s band who are one of the 15 shortlisted music acts for the BBC Sound of 2010! You have the chance to remix the track “Doubt” and win a soundcloud lite account and a signed cd copy of “acolyte”. Good luck! We’ve made the parts available for our forthcoming third single “Doubt” below. We’ll also be launching a brand new online remix tool on Monday 14th January – stay tuned for more details. Five runners up will receive a SoundCloud Lite account (worth €29/year) and a signed CD copy of the band’s debut album “Acolyte”.